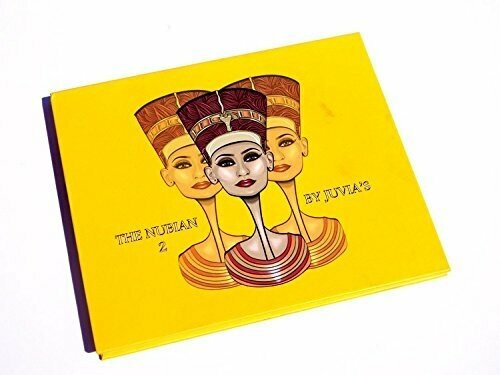 Nubian II Eye shadow Palette "The New "IN" Beauty has arrived" with this exquisite collection of eye shadows.This collection was inspired by Nefertiti, a beauty icon known for her outstanding beauty, strength and spirituality. This highly-pigmented selection of colors blend flawlessly. A great palette to recreate a classic yet exotic looks. Nubian II Eye Shadow Palette features 4 Matte colors and 8 Metallic colors. Nubian II Eye Shadows pans are double the size of our original Nubian Palette. Nubian II Eye shadow Palette is a paraben-free product . Nubian II Eye Shadows Palette is a cruelty free product(Not tested on animals). This highly-pigmented selection of colors blend flawlessly. A great palette to recreate a classic yet exotic looks. Nubian II Eye Shadow Palette features 4 Matte colors and 8 Metallic colors.